Many prominent models like Naomi Campbell began their career at this age. It is an ideal age to begin a modelling career. You need to know where to begin and put in your efforts to achieve in modelling. You also need to decide what kind of model you wish to be. At the age of 15, you should be able to balance studies with modelling. Youngsters often neglect studies trying to make an entry into modelling. This is surely a wrong approach. Here is how 15-year-olds can balance their passion and their studies. Let’s glimpse through few tips on how to become a model at 15. A timetable helps you to adjust all the routine tasks as per the priority. You must make sure that you allocate ample time for sleeping and eating while you make a schedule for yourself. A fifteen-year-old will be in the prime year of schooling and should include the school hours in the daily timetable. Decide a time for waking up in the morning. Set aside one hour for exercise before you head for school. Regular exercise is a habit you need to inculcate early for a career in the fashion industry. Many students get so excited about their fashion career that they tend to neglect their studies and spend all their time in pursuing their interest. This is truly a wrong attitude and approach. You must be able to manage your studies and your other aspirations simultaneously. Sleep is essential at all ages. Doctors recommend 6-7 hours of sleep for every grown up individual. You must ensure that your timetable includes 6-7 hours of sleep so that your mind stays healthy. Many youngsters choose to opt for stimulants and beverages like tea and coffee to stay awake. These beverages also tend to hamper the health in the long run. Two hours in a day is more than enough to pursue your goal if you have devotion and dedication. Use the two hours to maintain yourself, build contacts, participate in photo shoots and improve your knowledge in this field. At 15, you are at the verge of leaving the school and yet you have all the support and guidance a school child gets. Make use of this support and try to interact with school pass outs who are pursuing a career in modelling. You will be able to understand the challenges in the field and take the right steps to achieve your goal by not repeating the mistakes they made. Teachers usually have greater contacts with ex-students and they do not need any background to get in touch with their students. So if you do not know anyone in the field, you may request your teachers help you get in touch with such ex-students. In a modelling career, staying fit matters a lot. You need to alter your diet to suit your career. Dieting does not imply you should quit eating and survive on health drinks and artificial diets. You need to eat healthy and natural food and try to stick to the homemade meals. Do not cut down on the amount of food you eat as at the age of 15, you are still in the growing age. Healthy foods include fresh vegetables, fruits, milk, egg, fish and pulses. 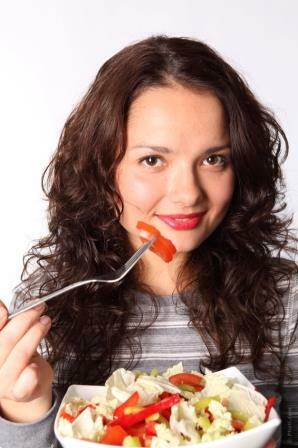 Consult a physician or a dietician to know the most suitable diet for youngsters at your age. They will prescribe diets that fulfill your daily energy requirements. If you cannot convince yourself to exercise, replace it with routine activities and games that may serve the same purpose. You may include games like Badminton, skipping, tennis, basketball and other games that require you to exercise your body parts. Regular jogging and brisk walking is also very helpful. This could be really difficult for a youngster at the age of 15. You need to deal with your craving for chips, wafers, burgers, fried foodstuffs and cold drinks. All these foodstuffs make you fat and gain excess calories that you never wanted. You need to purchase certain gadgets and accessories that will help you through the pursuit of achieving your goal. 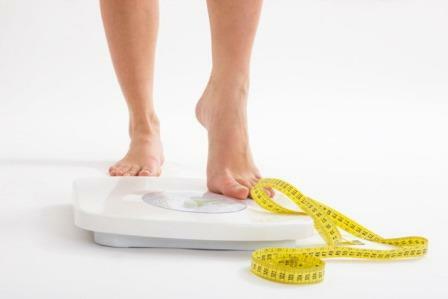 You need to have a weighing machine at home to check your weight at regular intervals. This is an essential device for all those who wish to pursue a career in modelling. There are also weight charts for models available online. Timer and stopwatch are devices that have almost become extinct after the arrival of the mobile phone. Yet, these are essential if you wish to fix a schedule for all your routine activities. It will help you time your efforts. Health apps are the modern day technology’s greatest contribution to models and fashion industry divas. These apps help you monitor your daily activities and keep track of your weight and health. You can make alterations in your schedule if you feel that you are gaining weight. These applications can be downloaded and used on any smart phone or android phone. If you take the right steps at an early age, no one can stop you from being an ace model and achieving stardom. You must have the willingness to make few sacrifices and still pursue your dream. The beauty and fashion industry needs fresh talent each year and if you deserve it, you will achieve it. Keep following these tips to become a model and fullfil your dream.